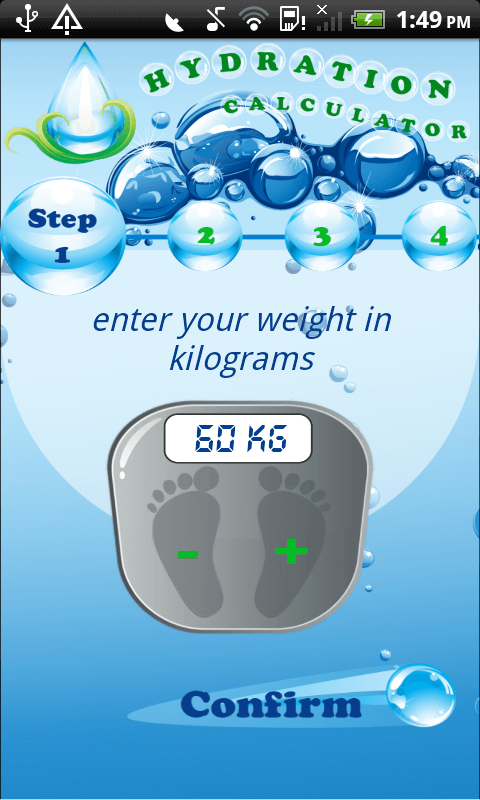 Provide your Weight in Kilograms. 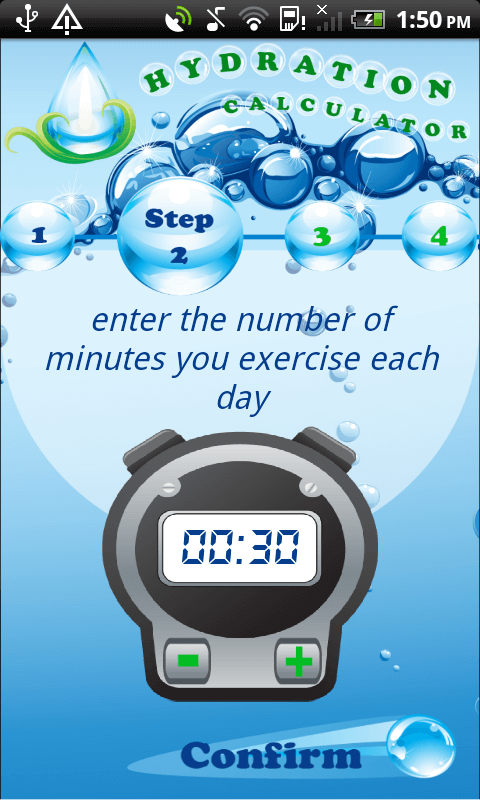 Provide how much time you do exercise daily. 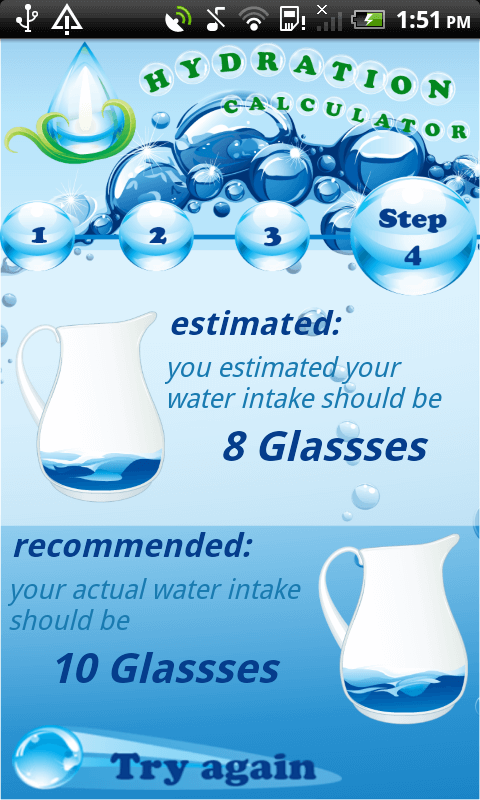 How many glass of water you drink daily. 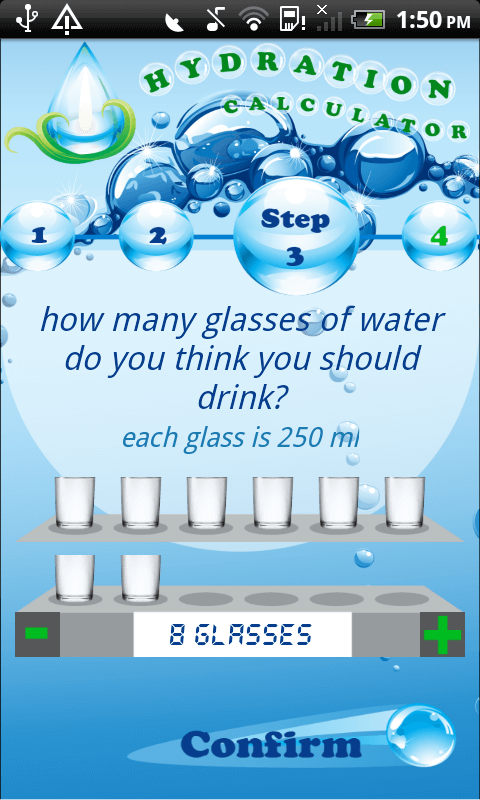 The app will calculate and show how many glasses of water you should drink each day. One glass of water is 250ml.  Disclaimer: The information provided by this app is an estimate based on research and not meant to replace the advice of a health care professional. If you have specific health concerns, please consult your health care professional. 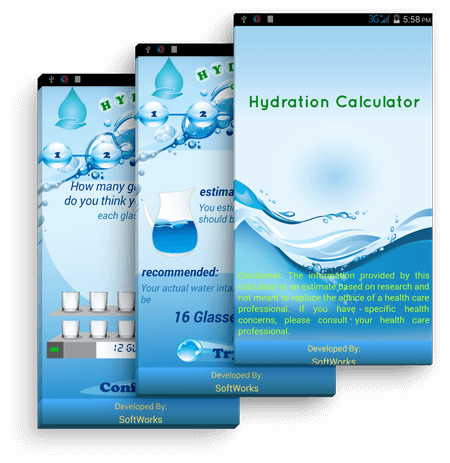 The app will calculate and show how many glasses of water you should drink each day.